Mom Loves 2 Read: #Team1GN, 1 Girl Nation NEEDS YOU ~ Check out how YOU can make a difference Today! Hurry ends 3/21! #Team1GN, 1 Girl Nation NEEDS YOU ~ Check out how YOU can make a difference Today! Hurry ends 3/21! Who is 1 Girl Nation you ask? Simply put, 1 Girl Nation is five girls from five different places, with one message. And to share that message, they are raising funds to purchase a very necessary touring vehicle for their upcoming Fall 2014 Tour. Want to know more? Well, here is a teaser from my review of the 1GN CD! 1GN is my girls' new favorite CD. This CD is the main music that plays every day in my home, along with their Christmas Program CD for church. 1GN is upbeat, energetic and fun with a positive message of faith, my girls and I all love to listen, sing along and dance along with Lindsey, Kayli, Lauren Taylor, Carmen & Kelsey. 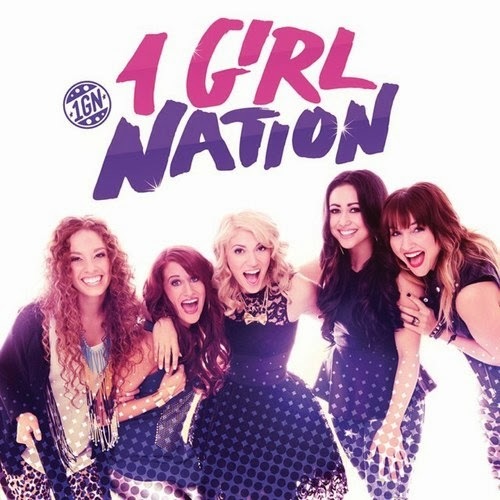 This Fall, 1 Girl Nation wants to continue sharing the hope of the Gospel through their upbeat and fun music. Here is how YOU can help! They have started their first ever Kickstarter project and are hoping that you can participate. They even have some amazing, limited edition rewards available for those who are willing to help in whatever way they can! Remember that every dollar counts! We hope that you will take a moment to read through the rewards, and pray about how you can be a part of the 1GN family, in supporting this wonderful ministry. They NEED to raise $30,000 by March 21st in order to put a down payment on this van. The van actually costs around $80,000 but in Faith, they are praying for a $30,000 showing of Love and Support to start the process! If you are interested in how you can help - check out the Kickstarter Link HERE. Join me in helping these amazingly talented girls get to their concerts and loved ones safely! Disclosure: I did not receive any compensation for this post. I am disclosing this in accordance with the Federal Trade Commission’s 16 CFR, Part 255: “Guides Concerning the Use of Endorsements and Testimonials in Advertising.”.